Today’s scarf is a pseudo-cowl. It’s another Enterlac piece that I made. My first blog post about Entrelac can be read here, my very first Scarf of the Day. 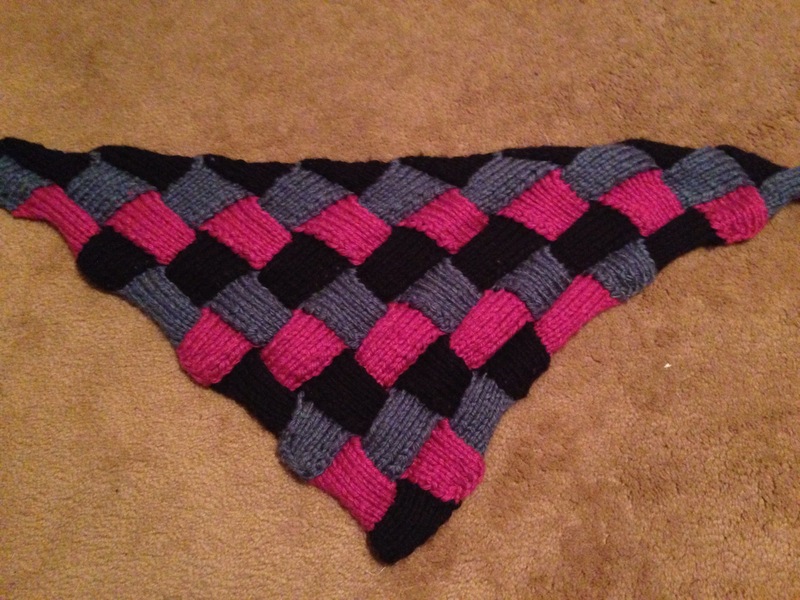 This wasn’t really a pattern in the book but just the tutorials in the beginning included how to do Entrelac in a triangle. I had bought three skins of Lion Brands Hometown USA, I knit something up but didn’t like it. So when it was all done I undid it and made something else. I ended up not liking that either so I undid it and made this instead. I love the way it ended up and how the colors helped enhance the pattern. Sometimes it takes a couple of tries to get something right. Have you ever finished a project just to undo it and start over again?